There are 3 religions that says so. The obvious one is Christianity with that being it's central term. The second one is Hindu. Khrisna is said to be a God incarnate. But in torah I often see stories about Abraham meeting some guys and recognize that the guy is G_d himself. Genesis 18 for example says And Jehovah appeareth unto him among the oaks of Mamre, and he is sitting at the opening of the tent, about the heat of the day; 2 and he lifteth up his eyes and looketh, and lo, three men standing by him, and he seeth, and runneth to meet them from the opening of the tent, and boweth himself towards the earth, 3 And he saith, 'My Lord, if, I pray thee, I have found grace in thine eyes, do not, I pray thee, pass on from thy servant. So here Jehovah (=God?) appear unto him among the oaks and sit. So who is this Jehovah that sit at the opening of the tent? I thought God never incarnate? How can he sit at the opening of the tent? Also we have Jacob wrestle with G_d with G_d's performance not being very impressive. G_d can't escape Jacob's hold. So do jews believe that G_d, once in a while, take humans' form? Hei, it's actual jewish translation. Genesis Chapter 32 בְּרֵאשִׁית. Compare to Genesis 32:28. And he said: 'Thy name shall be called no more Jacob, but Israel; for thou hast striven with God and with men, and hast prevailed.' - Genesis Chapter 32 בְּרֵאשִׁית. No, no, no. Judaism makes clear that G-d has no physical form, nor does (nor can) He ever take one on. You're confusing several stories about angels, which are heavenly beings that can take human form, with their Boss. Abraham invites three guests who turn out to be angels; similarly, Jacob wrestles with a mysterious man, who is likely to have been an angel. He is told "you wrestled with both Elohim and man successfully"; see this question for more; if you track the detailed uses of the word Elohim in the Bible, it doesn't always mean G-d. Here it's translated "Heavenly forces." This is one of the "perplexing" topics that the Rambam addresses in his "Guide of the Perplexed". While the examples you give are of Angels (see Shalom's answer), a cursory glance of the Bible, could make it seem like there is reason to wonder whether God can be corporeal, since the Torah does refer to God with "physical" attributes like hand, finger, and back, as well as physical actions like standing and sitting. However, in Judaism we don't hold to a literal interpretation of the Torah, since Hebrew words are frequently equivocal, or have multiple meanings, and when analyzed, they reveal deeper meanings of the text. For instance, the word standing could literally mean a physical body standing-up or it can metaphorically mean everlasting (standing for eternity). The Rambam explains how every one of the "physical" characteristics, as they relate to God, are equivocal terms like 'standing', and he brings many other passages as proof that the words are used in those other metaphorical and non-physical ways. The Rambam also explains that the Torah passage "Hear, O Israel, Hashem is our God, Hashem is One" has a deep meaning that expresses God's incorporeality. For something to exist physically, it necessarily follows that there can be two or more of it (i.e. two apples, three quarks, a trillion stars). By saying God is one, we are denying that there can be any multiplicity of God, meaning he can't be physically manifested. As soon as God would take physical form, it would be possible for him to be two or more, but since he is completely non-corporeal, we say he is "One". Shalom’s answer is pretty clear, but in case anyone needs more evidence, here are two unambiguous passages from common parts of the liturgy that make clear that Hashem is not corporeal and has no body, and that all descriptions of Hashem in those terms are allegorical. He has no semblance of a body nor is He corporeal; nor has His holiness any comparison. I shall relate Your glory, though I see You not; I shall allegorize You, I shall describe You, though I know You not. Through the hand of Your prophets, through the counsel of Your servants; You allegorized the splendrous glory of Your power. They allegorized You, but not according to Your reality, and they portrayed You according to Your deeds. They symbolized You in many varied visions; yet You are a Unity containing all the allegories. Shir ha’Kavod then goes on to describe Hashem in many of these beautiful, embodied allegories, having made clear that they’re just allegories that only share a glimpse of Him. To add to Shalom's answer, the word Elohim is not only used to mean G-d. It can also mean gods, angels, or even men. It is used to mean any source or seat of power, be it Divine, otherwise heavenly or spiritual, or governmental. This is not a conclusive, or even well-written article, but see here for one example: Elohim (Wikipedia). During the early middle ages, there were certainly plenty of Jews in Europe who believed that Gd could be corporeal (though not incarnate... bit of a difference there) However, many Rabbis of the era went to great lengths to dispel anybody of that notion. There are three historical points of interest regarding Gd having a body. Many pagan temple sites have large thrones or marked footprints of where their deity would walk, stand, or sit. The Jewish temple has no throne room or similar structures. There is a lot of Jewish artwork depicting angels and other heavenly beings, but no pictures of Gd. Not even lights through the clouds like with Christian artwork. (There is one debatable exception about two hands in one mosaic at the splitting of the sea, but it isn't clear who's hand with tefillin they are supposed to be). Textual depictions of things which belong to Gd which might imply a corporeal body often have contradictory sizes. Meaning Gd is depicted as being both very very tiny and very very large. From "playthings" to footstools, voices, hands etc. There is no mental image which can be pieced together from all the different metaphors. These various traits imply that Judaism always recognised that Gd has no body and would never use one. Well, the Lubavitcher Rebbe famously (controversially?) spoke of this topic in a talk on the last day of Pesach 5710 and said "And thus there is no place for the objection regarding [praying to] an intermediary -- since he [the Previous Rebbe] is the essence and substance [of God] himself, that God had placed himself in a body"
Now, I've heard from some (not all) Lubavitchers that this is not meant to be understood literally, but in any case there is certainly precedent by a major Torah scholar for at least describing God incarnated in a body. "Just as 'Israel, Torah, and God are all one', that is to say, not only that Israel is connected to Torah and Torah to God, rather they are 'one' literally, so too is the connection between the Hasidim and the Rebbe -- it's not like two separate things, rather they are made 'all one' literally. And the Rebbe is not an 'interrupting intermediary' rather he is a 'connecting intermediary'. And with regard to the Hasid, he and the Rebbe and God are all one. I haven't seen this said explicitly in the teachings of Hasidut, but it is the 'feeling' of those teachings, and whoever wants to feel this, let him feel it, and whoever doesn't, I don't want to argue with him -- he'll have what he has. And thus there is no place for the objection regarding [praying to] an intermediary -- since he [the Previous Rebbe] is the essence and substance [of God] himself, that God had placed himself in a body." Not the answer you're looking for? Browse other questions tagged hashkafah-philosophy theology avot-patriarch-fathers . 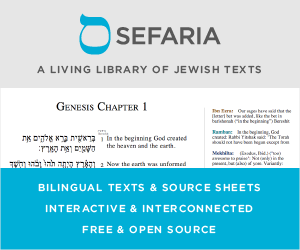 Why is the word for G-d in Genesis plural? Anim Zemiros is highly anthropomorphic; how come we sing it in public? Do the Rishonim that hold G-d can have physical form (e.g Rav Moshe Taku, etc.) also hold he can incarnate? Why does the Torah sometimes preface the avos with Elokei before each name but other times just once for the group?